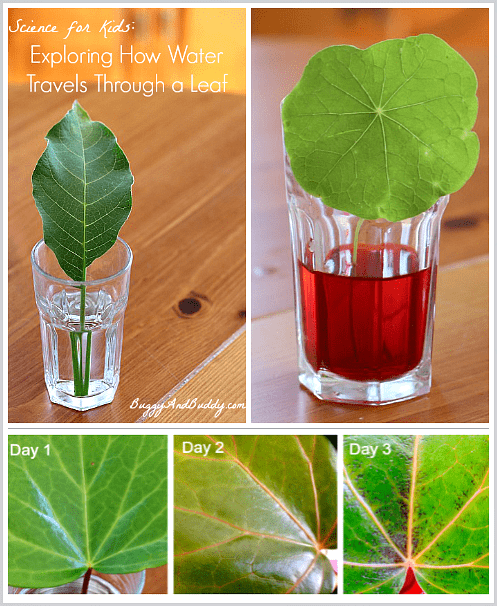 Our latest science experiments for kids is all about leaves! We used colored water to observe how liquids move through the leaves of plants. 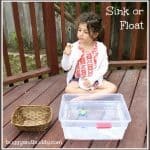 This post also includes a free printable recording sheet. 1. 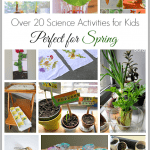 Start by taking a walk outdoors and collecting various leaves. 2. Snip off the bottom of each leaf stem. 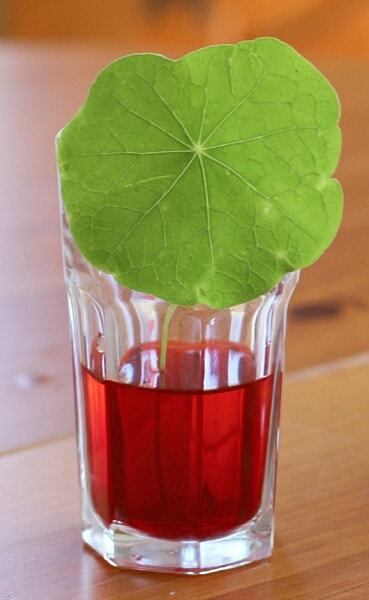 Then place each leaf in a glass filled about a third of the way with water. 4. 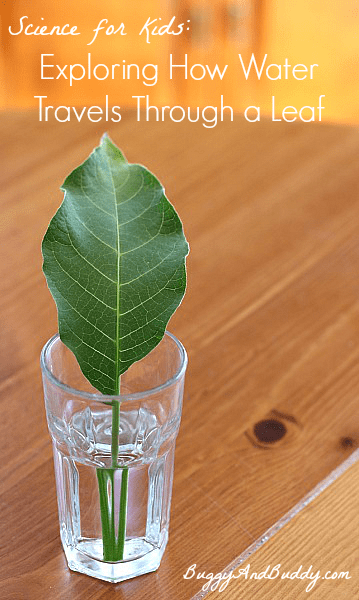 Observe the leaves closely. (You can use a magnifying glass if you have one.) 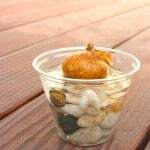 Record your observations of how they look on Day 1 of the experiment. 5. Observe them for the next two days. 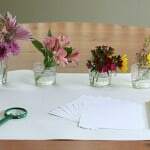 Be sure to record your observations in the correct area on your observation sheet. 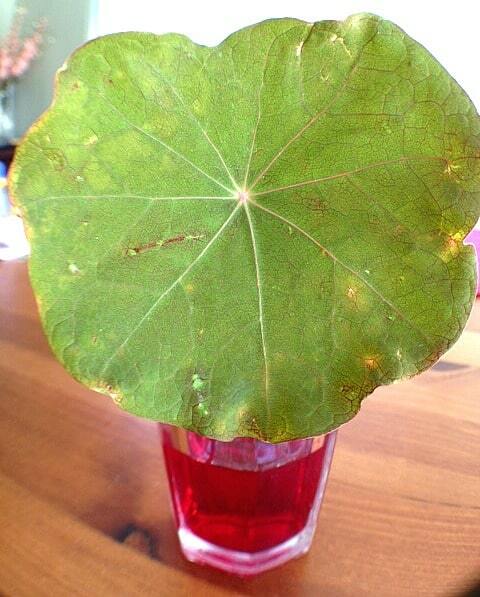 You should notice the red color move slowly through the leaf. 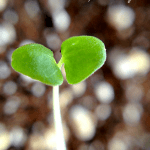 Here’s a close-up of one leaf over three days. 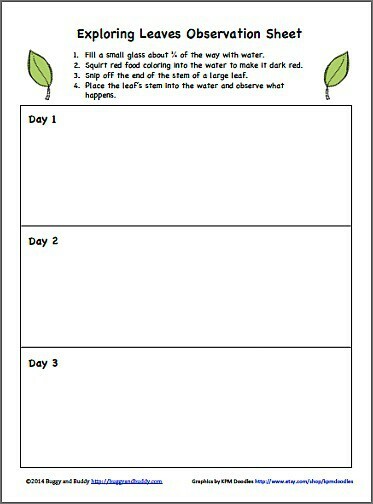 Try out this fun leaf experiment to find out why leaves change color. 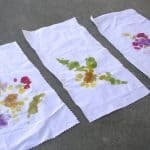 Use leaves to make leaf prints. Make some leaf rubbings to compare the shapes and patterns of leaves. Do a similar experiment using celery. Use a leaf as your canvas for artwork. 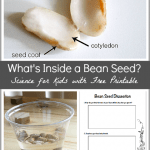 Love awesome, hands-on STEM activities? 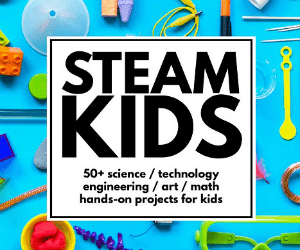 Check out our newest book, STEAM Kids with over 50 science, technology, engineering, art, and math activities to instill a love of learning and creativity in your child or students! I used to do this when I was a kid! So cool! We experimented with white flowers and used red green blue and yellow food coloring. Children loved it. If you take a white carnation and split the stem so that you can put one stem in a color and the other stem in another…..you get a true WOW moment. 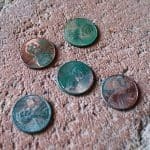 I love this experiment – very clever! Neat! 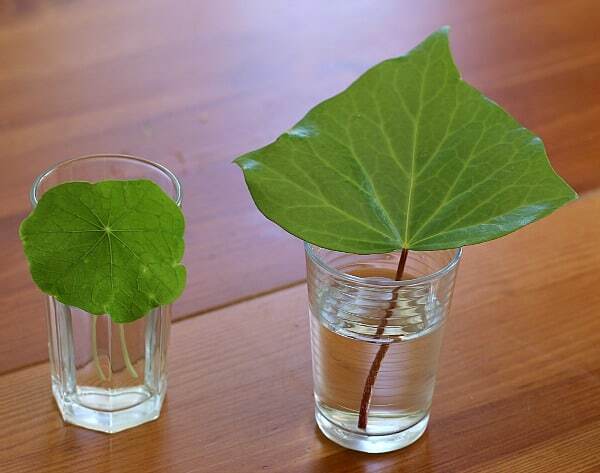 We’ve done this experiment with flowers before, but not leaves. We’ll have to put that on our list of things for this summer. Thanks for sharing at the after school link party.